A new year, another chance to dream of things to come. A new purpose and determination to right the wrongs of our day to day existence, to stick to our resolutions and be better human beings for the people we love and love us. We change the things we can, we find a way to cope with the things that evade our control and we dig deep inside ourselves to climb above the obstacles that life puts in our path. I just cannot imagine opening my eyes every morning to the stark reality of ‘nothing’. No shoulder to lean on when the journey gets tough, no arms to get lost inside and to feel the comforting safety of their embrace. No laughter shared, no hand to reach for when the storm comes, no reassuring voice telling you that it really will all be okay and not to worry. To live without these simple things, things that we take for granted would bring the best of us to our knees. The strength of the human spirit is remarkable in its ability to carry on regardless of how hard the struggle to survive has become. The images below demonstrate just how remarkable. Heartbreaking. Thank you for forcing me to see these people. We all need to see them, remind ourselves that these are human beings and then do something about it. These images should shame us into action. Thank you! There are so many wonderful organizations that do all they can to help but are overwhelmed by the sheer size of the problem here. Thanks for taking the time to comment. We have a different kind of homeless people in the Cape region of South Africa – so called “bergies”, people from the berg/mountainside without permanent abode. Their way of life is similar but also different to the harsh reality you are portraying – maybe we should exchange some views. Another fine, if disturbing, set of photos Anton and all the better for being seen! 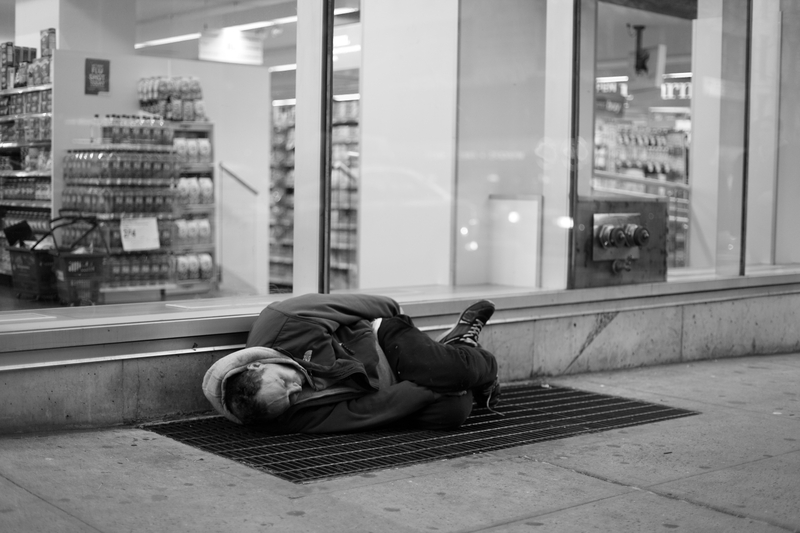 Did you read in the New Yorker not so long ago about the awfully high numbers of the invisible homeless? It was truly shocking. We all have to do something. . . . I did read it Patti, shocking is right. Hard to believe it is happening in NYC. “Give me your tired, your poor, Your huddled masses yearning to breathe free, The wretched refuse of your teeming shore. 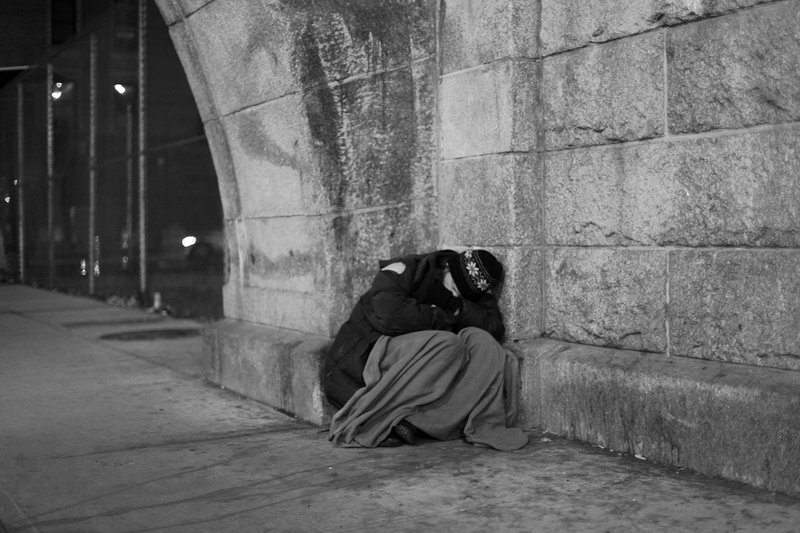 Send these, the homeless, tempest-tost to me, I lift my lamp beside the golden door!” The beautiful words of Emma Lazarus. If only it were true. Again, your shots just break my heart and yet there are far too many who sneer at these folks. Thanks for what you do to bring a bit more awareness for those willing to see. Thanks, as we both know there are far too many who just close their eyes to it. A profound Dostoyevsky quote to go with these images and your statement. May 2014 bring you opportunities each day to improve and brighten your spot on the atlas. Extraordinarily moving images – as I expect, Anton! I’m wondering how these people are coping under the latest blizzard. Best wishes to you. 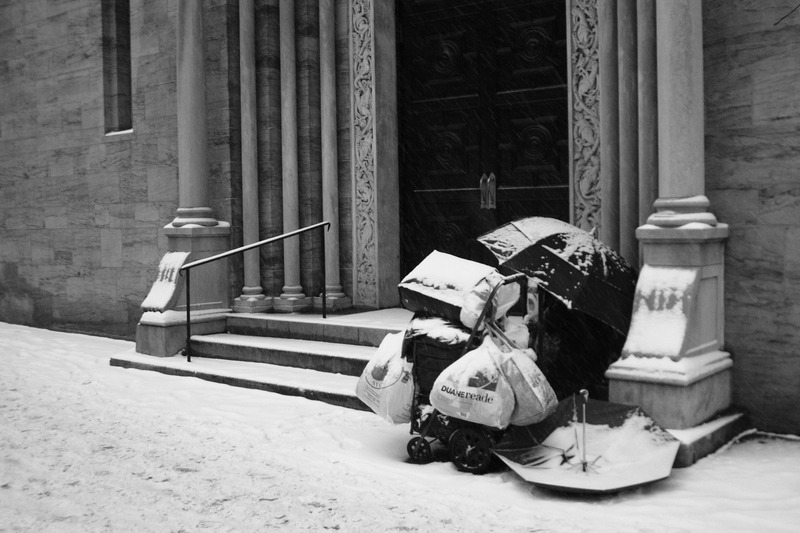 As you probably know, when the temperature drops below freezing NYC shelters are compelled to offer a place away from the streets to all who need them. 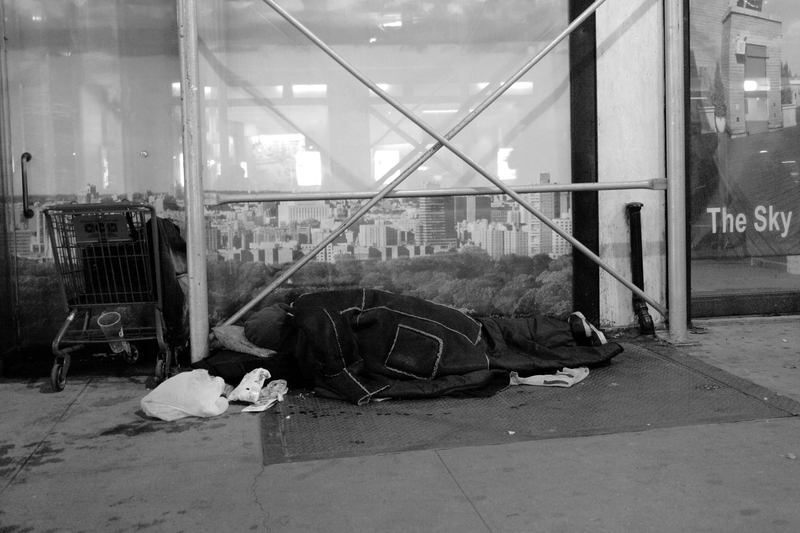 Some homeless people prefer not to and choose to take their chances sleeping on the sidewalks and in doorways. My heart goes out to them. Your photographs are always wonderful but I can’t press “like” because I feel so bad for those trying to survive winter outside. I completely agree, ‘like’ seems a little out of place, but thank you for your comment. To live without these simple things, things that we take for granted would bring the best of us to our knees. Thank you for doing what you do to remind the world of the forgotten people. I know my photographs can sometimes be uncomfortable to see but the situation on the streets of NYC is out of control and is getting worse. It is a sad reality. At the very least these images can help make us realize just how lucky we are in comparison to the lives others lead. Perhaps we should hold our loved ones just that little bit closer and thank the fates that we don’t have to overcome complete despair every day of our lives. Thank you Carissa, as always, for your comment. Thank you Francina, a new year, a new Mayor of NYC who nails his promises to a mast of humanity and equality? We can only hope that the less fortunate are now going to be considered and helped rather than being stepped over yet again in the stampede for personal gain. I guess we will find out.